Gaius Valens Hostilianus Messius Quintus was the younger son of Trajan Decius and Herennia Etruscilla. In 250 AD, his older brother Herennius Etruscus was raised to the rank of Caesar as was Hostilian. While his father and brother were campaigning against the Goths, Hostilian had remained in Rome with his mother. 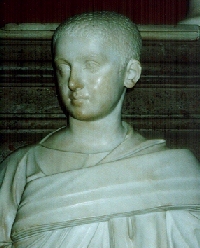 Upon receiving word that both his father and brother were massacred at Abrittus by the Goths in June/July 251AD, Decius’ leading general Trebonianus Gallus was proclaimed Emperor. To some degree, many blamed Gallus for failing to prevent the massacre of Decius and his eldest son. To placate supporters of Decius, Gallus allowed Herennia to retain the title of Augusta and raised the young Hostilian to the rank of Augustus as his co-ruler. To further strengthen the bond, Hostilian’s sister was married to Volusian, the son of Trebonianus. Unfortunately, Hostilian’s rule as Augustus proved to be very brief of only three to four months. Hostilian died of the plague in 251 AD, which devasted the population at that time. Herennia faded into history and Gallus, along with his own son Volusian, were murdered by their own troops in 253 AD. 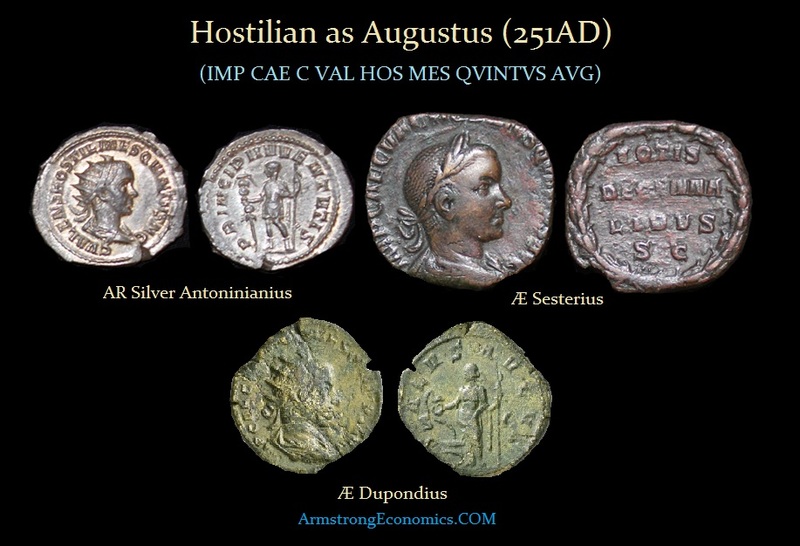 Note: The coinage issued for Hostilian as Augustus is uniformly rare. 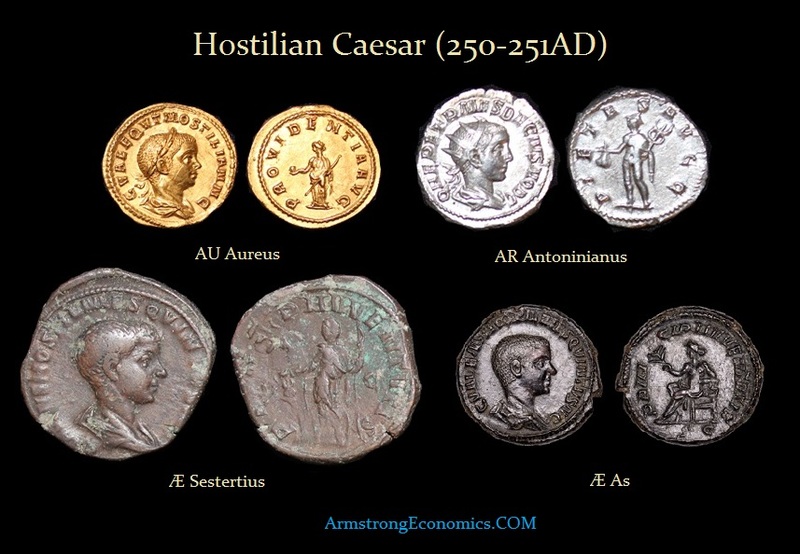 Gold coinage of Hostilian as Augustus is not known. It is quite possible that none was struck due to the fact that he died very shortly after receiving the rank of Augustus. Nonetheless, the Dupondii are among the rarest imperial issues of the 3rd Century in general. The authors of RIC knew of no examples, yet Richard Beale reports four Dupondii with three reverse types treating the years 249-253 in whole, but without photos. Although not illustrated by Beale, this coin is the only example with Salus reverse known to date.